Sant Cugat del Vallès City Council, hereafter Sant Cugat City Council, is the domain holder of www.santcugat.cat, a website available to any user with information about the different services and procedures of this local administration while providing general information about the city of Sant Cugat. 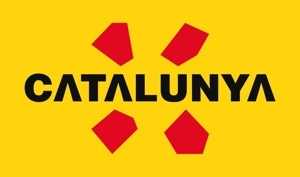 All the distinctive signs, brands, commercial names, contents (texts, graphics, images, photographs, software, links and other audiovisual or sound contents and source codes), structure, design and presentation style of the elements and any other information on this website, such as municipal mobile applications for Android and IOS devices are the property of Sant Cugat City Council and are protected by industrial and intellectual property rights. The reproduction, transformation, distribution, public communication and, in general, any other use of the elements mentioned in the previous section is strictly forbidden without the express authorisation of Sant Cugat City Council. Printing and downloading of extracts of the contents of this website and mobile applications is allowed only when it is for personal and private use. 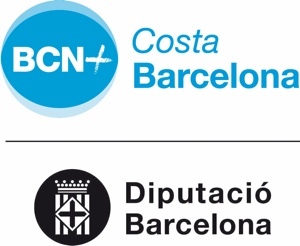 This website includes different links to other independent websites, which are not the property of Sant Cugat City Council, with the objective of providing access to other sources of information related with this municipal organisation and with respect to the intellectual property rights that, if appropriate, may correspond to the authors. However, Sant Cugat City Council accepts no responsibility that may result from connections or contents of these links. Moreover, the establishment of links on the Sant Cugat City Council website, following request and authorisation, must respect the intellectual property rights held by the municipality. Users must abstain from using media that may suppress, alter, evade or manipulate any protection device or security systems that may be installed and that pose a risk to, damage or disable this website and/or its contents. Sant Cugat City Council is not responsible for the possible inappropriate use made by third parties of this website or the different mobile applications, or the contents, resulting from Google automatic translation and updating of the information from other natural or legal persons that appears on the website or through links or other systems. The contents provided through this website or the different mobile applications are for information purposes, and therefore use made of them and any possible consequences or damages that may derive are the exclusive responsibility of the user. Sant Cugat City Council accepts no responsibility for damages of any kind that may result from the use of links, directories or search tools, which allow access to websites or mobile applications owned and/or managed by third parties or for the presence of viruses or other malicious codes in the contents that can produce any kind of damage to users’ computer system, electronic documents or files. Sant Cugat City Council reserves the right to take the legal actions it considers opportune derived from any illicit use made by third parties of the contents of its website or applications. A cookie is a packet of text sent between a web browser or mobile application and the server that has access. Cookies are used to differentiate one user from another and to pass information from one website to another during the session of a single user. These cookies, known as session cookies, cannot be deactivated and are deleted when the browser is closed. Sant Cugat City Council uses Google Analytics cookies to define user sessions and obtain general data about browsing of municipal websites. They do not collect personal data about visitors to municipal websites and use identification and expiration standards to correctly attribute the visitor’s activity. By using the website, you expressly consent to your personal data being included in an automated database owned by Sant Cugat City Council, whose purpose is to provide the services requested. Sant Cugat City Council, with tax code number (NIF) P-0820400 J, has adopted the technical and organisational measures necessary to avoid its alteration and loss and unauthorised processing or access, thereby complying with what is established in Royal Decree 994/1999 concerning the Regulation on Security Measures. If you have received an email and wish to remove your email address from our database, write to us at [email protected], specifying the subject REMOVE and your address will be removed. If you wish to receive additional information or exercise any of your rights you can send an email to [email protected].